Lori Hill is a green living advocate. On a mission to do all she can to take better care of the planet, she created Sister Eden Media, a green lifestyle company, to inspire others to give a darn and live more mindfully on Earth. She shares tips on her web site and YouTube channel, Facebook, Twitter, and Instagram. 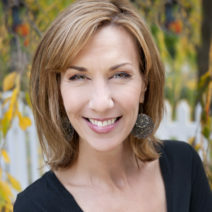 Lori also holds green living workshops and frequently appears on television. A resident of Takoma Park, Lori is a plant eater, trash picker upper, climate activist, wife, and mom to 5 boys: 2 humans, 2 cats, and 1 dog.